You are here: Home / Hugs, Kisses, and Wine! Happy Valentine’s Day to all our Union Wines aficionados! What better way to say I love you than with a couple of delicious winter cocktail recipes? I love you can not only be said to your significant other, friends or family…you can tell yourself you love yourself with either of these two cocktails too, so enjoy! Stir well in a large pitcher, making sure the wine and liquors are blended. If you think you’ve stirred enough, you probably haven’t…that honey needs dissolving! Slice the fruit and add to the sangria along with the cinnamon. Let it sit in the fridge for at least an hour to maximize flavour. When ready, serve over ice! You can also enjoy this cocktail warm. Just grab a slow-cooker, heat it on warm/low and you’re on your way! 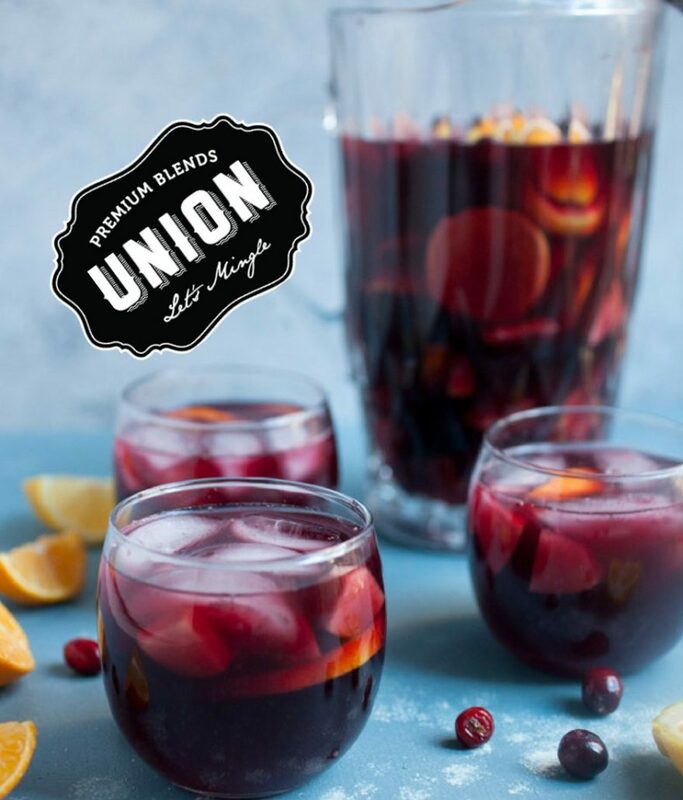 ‘Tis the season to enjoy our delicious Union Forté port in cocktail form. Naturally peppered with hints of sweet and sun-dried fruit, this fortified wine is an excellent addition to any cocktail, and will be sure to send hearts wagging this Valentine’s Day. Shake well with ice and strain into a chilled cocktail glass! Happy Valentine’s Day from all of us at Union Wines; please enjoy responsibly! http://unionwines.cellarstarter.com/wp-content/uploads/2017/02/Untitled-design-87.jpg 1100 940 admin http://unionwines.cellarstarter.com/wp-content/uploads/2015/09/logo_340-300x213.png admin2017-02-14 17:37:472017-02-14 17:37:47Hugs, Kisses, and Wine!